A bright, calm and hopeful track with beautiful strings and dreamy vibraphone. Slow Tempo. A dazzling and quiet track. Works great for images for wide landscapes, night sky or documentary about northern nature. Jazzy textures mingled with sentimental strings create a feeling like a walk by empty streets at a star-bright night. Warm, emotional and harmonic piece with a slight sadness between the lines. Threatening and driving strings and drums create a mood of secrets, persecution and darkness. Additional accents by the vibraphone. 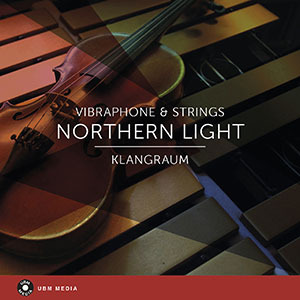 A slow track with beautiful strings and magical vibraphone, ideal for images of nature. Warm accoustic guitar, vibraphone and strings create a mood of harmony, happiness. Ideal for comercials with happy families. A ticking track in midtempo with strings and vibraphone, very emotional. Ideal for cutbacks and conclusions. Melancholic vibraphone, bass and strings with a mood of first day of fall or cafe lounge atmosphere on a rainy sunday. The track works great for the mood of happy anticipation. The slow strings with calm vibraphone sounds hopeful, positive and augur well. Sentimental vibraphone with warm strings sounds like a soundtrack for a love story without a happy end. Modern, dynamic and entertaining track like the soundtrack for a new successful series. Vibraphone, marimba and slow strings create harmony and yet cautiousness. Ideal for images of wood, water and small animals. Staccato strings and minimal vibraphone create a mood of magic and fairytales. Ideal for children's films, images of nature or love stories. Sigmund Freud sends greetings. Vibraphone and strings sound like a travel through subconsciousness. A positive track, like travelling by train through wide and green landscapes. Ideal for the beginning of a adventure with a little magic.